From October 1st to October 5th took place the IROS 2018 edition at IFEMA of Madrid. 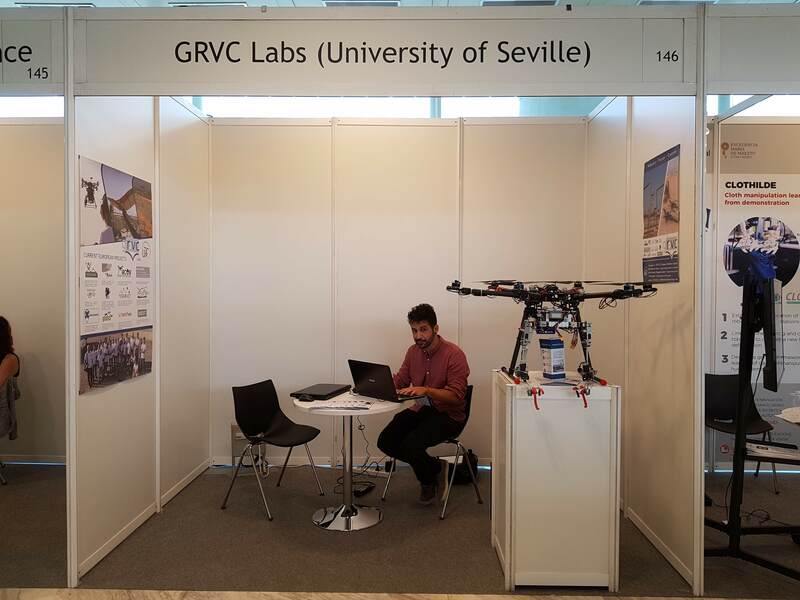 The GRVC group provided two stands to the assistants so they could find out information about the group and its projects, and about the AEROARMS project. Also, on October 3rd a keynote by Aníbal Ollero was held. 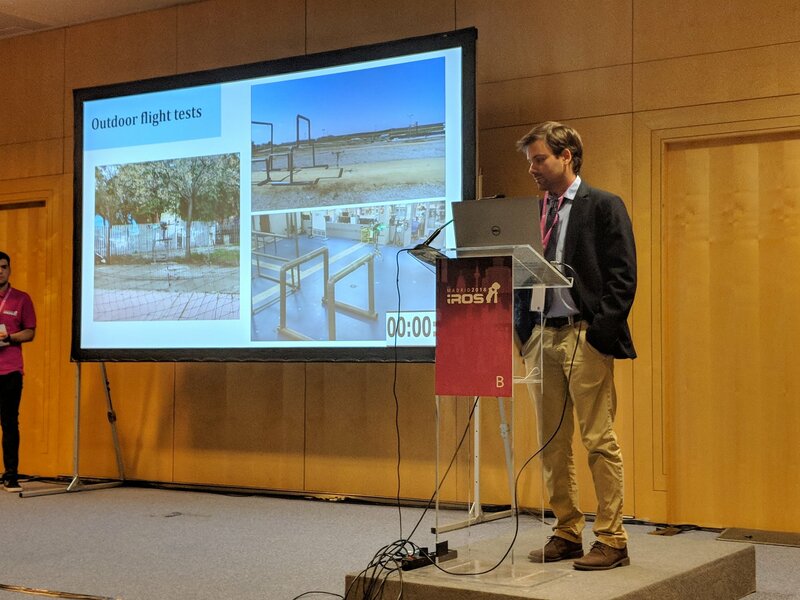 This keynote was entitled “Challenge in Aerial Robotics Manipulation” and Aníbal talked about the innovations in the robotic manipulation of drones and the results of the AEROARMS project review. Lastly, during the last day of the event took place a tutorial with some members of the group. This tutorial included sessions about practical cases using AEROARMS results, control of aerial manipulators and perception. 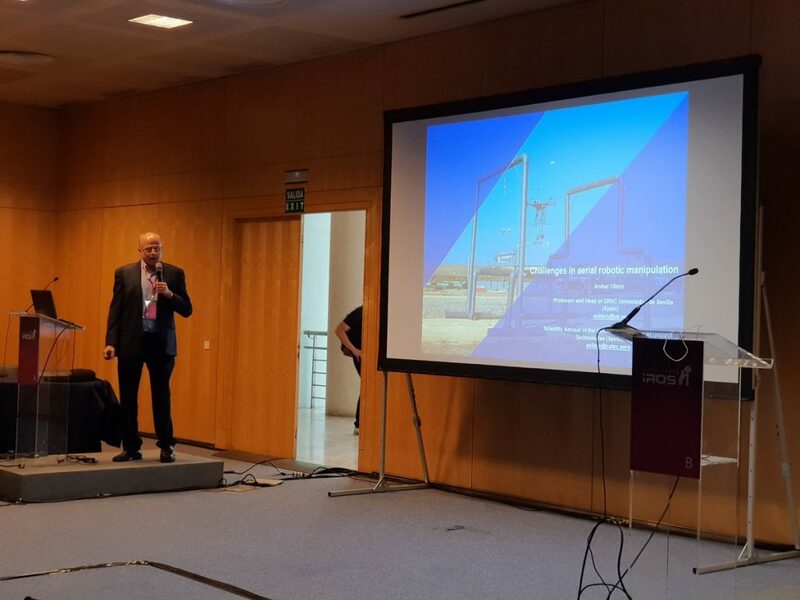 These presentations were held by the member Alejandro Suárez (“Lightweight and compliant long reach aerial manipulator for inspection operations), Álvaro Caballero (First experimental results on motion planning for transportation in aerial long-reach manipulators with two arms) and Julio López Paneque. 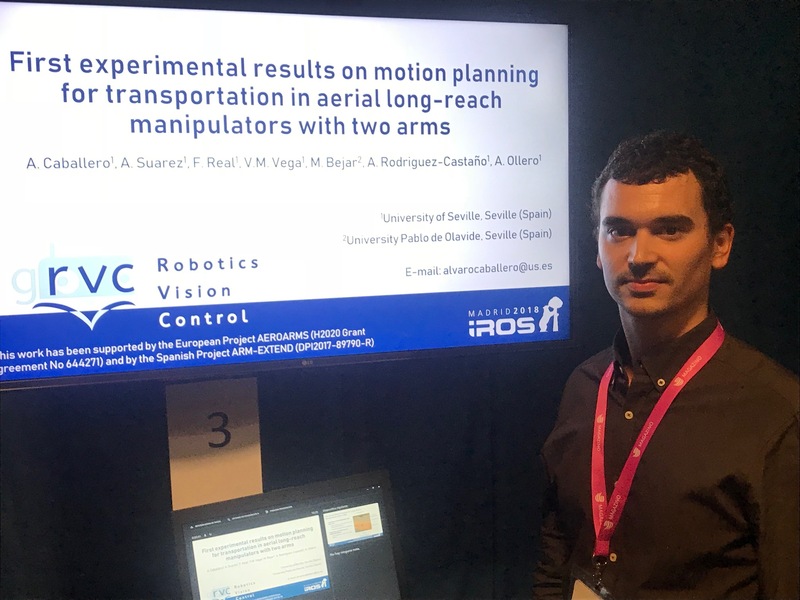 Álvaro Caballero before presenting his paper entitled “First experimental results on motion planning for transportation in aerial long-reach manipulators with two arms”. This event has been sucessful and attracted the attention of the assistants to another projects like Griffin, Multidrone or Hiflyers.